When a season commits to a revival of a certain era it’s pretty exciting. 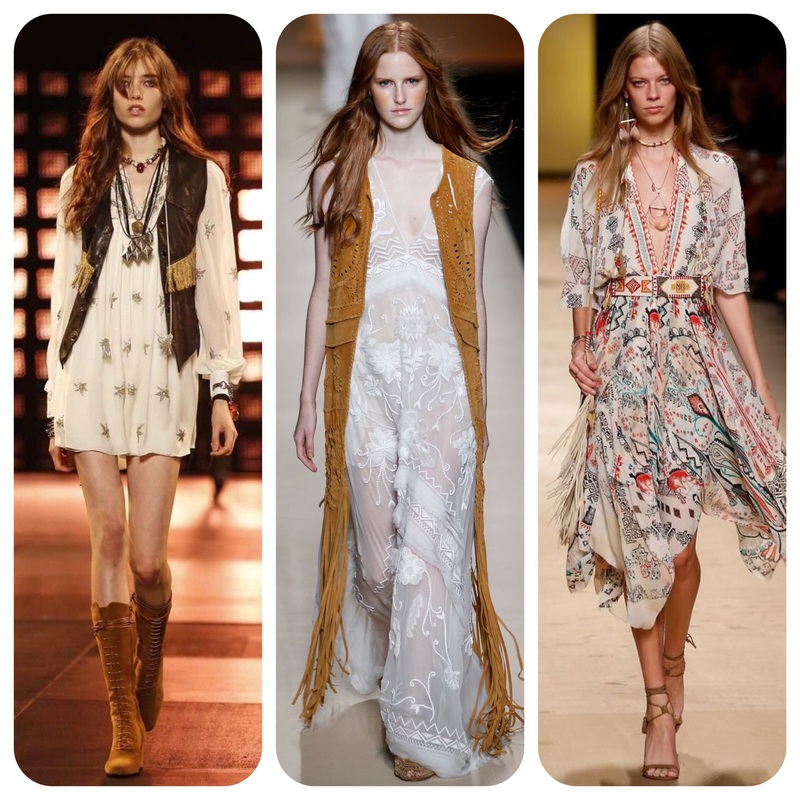 SS15 has brought back the Seventies: think Woodstock festival, hippies hugging trees and a whole load of suede tasseling. 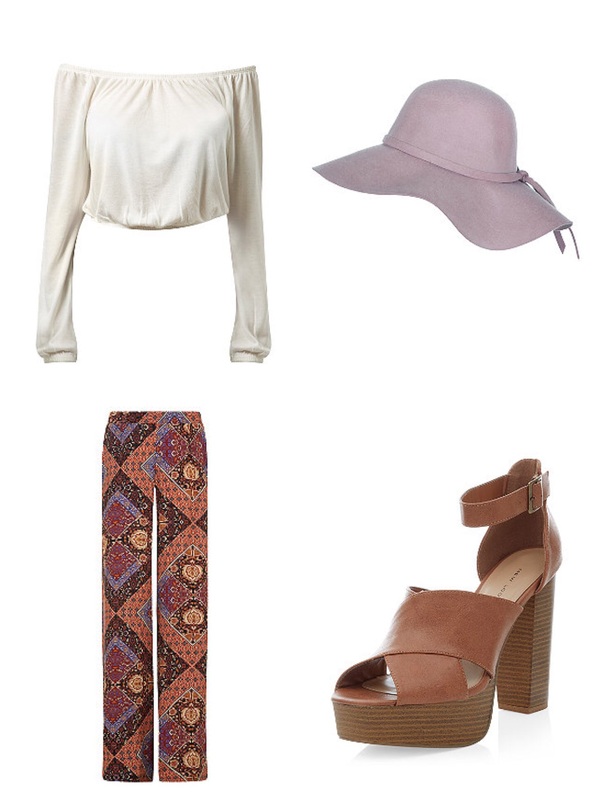 In other words: Boho. Sienna Miller created a ‘boho chic’ phenomenon in the early Noughties however since then it hasn’t had a chance to shine, until now. It’s not the sexiest of trends but it carries a lot of context in its cultural ties. That’s what’s so great about these powerful era-trends. They have a story. It’s embraced by many fashionistas from the cool, androgynous type to the glossy, girly type due to it’s place in our past – it’s part of all our histories. The high street is sure to be a major fan of the 70s trend this summer as it seems to be a trend that easily filters through from catwalk to shop floor. New Look’s summer collection is a shout out to the Seventies, brimming with floppy fedoras, suede A line skirts and gypsy style dresses. Team statement pieces such as the patchwork print wide-leg trousers below with cool and natural tones for an understated, casual approach. Bardot tops such as the one below are an essential this summer – the shoulderless design is perfect for sunny days (no tan lines). Invest in a chunky-soled strappy platform such as the tan pair below to add height to long pants or maxi-style dresses and finish the look off with a floppy fedora hat (see below) in a light shade for a spot of sophistication. In my opinion, if you’ve got a decent piece of headwear on it appears like you know what you’re doing!